Slovenia will host the next Global Meetings Industry Day on April 13, 2018. Mauro Bernardini, President of MPI Italia Chapter, has announced that the next Global Meetings Industry Day, scheduled for April 13, 2018, will take place at the Hotel Perla in Nova Gorica, Slovenia. Now in its 3rd edition, the GMID is the perfect place for the European meeting industry to “meet”, discuss, and participate in networking and team building moments. To ensure the presence of international MICE professionals, English will be the official language of the event. 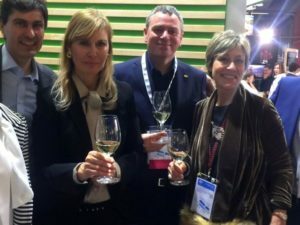 “We chose Nova Gorica to involve those places that do not have an MPI Chapter of their own, but are very active in the convention world – and that, in this case, are also very close, both territorially and culturally, to Italy,” explained Bernardini. Almost simultaneously, similar events will take place all around the world. Last year, about 15,000 industry professionals met at over 120 events in 6 continents. MPI Italia Chapter: founded in 1991, it’s the Italian Chapter of the International community MPI (Meeting Professionals International, founded in Dallas, USA, in 1972), which counts over 17,000 members in 24 countries, and 90 chapters. The association represents every professional in the meeting and event, tourism, and corporate communication industries. MPI Italia Chapter is registered with the Ministry of Economic Development, meaning it can release certifications that are legally valid under Law no.4 of 14th January 2013 (Gazzetta Ufficiale no.22, 26th January 2013), which regulates fields that aren’t already under regulation, to its members.